California’s landmark global warming law (AB 32) offers a solution, placing nearly all refineries in the state within a cap-and-trade program that started January 1st of this year. One of the most innovative features of cap and trade was putting a price on carbon, forcing refinery business models to take a long look at the long term financial costs of releasing greenhouse gases. As a result of the program, evidence shows that petroleum refineries in California are starting to change their ways. Recently, the California Air Resources Board (CARB) released 2011 emissions data showing that 11 of the state’s refineries logged significant reductions in their greenhouse gas (GHG) pollution, as compared to 2010. This represents over half of the refineries reporting emissions to the agency. In addition to cutting climate pollution, many of California’s biggest and dirtiest refineries are also documenting major cuts in other pollutants. As reported to the US EPA’s Toxics Release Inventory (TRI) database, 2011 was a banner year for reductions of many compounds that are known to be harmful to human health, with many at record low levels – clear evidence that AB 32-inspired reductions can improve public health and help mitigate the effects of climate change. What is the likely reason for the reduced GHGs at California Oil Refineries? Evidence shows that reductions of GHGs and toxic pollutants are not a mere result of facilities suspending or cutting production through voluntary or involuntary action. Instead, evidence points to AB 32’s cap-and-trade program inspiring facilities to reduce emissions by investing in and upgrading equipment. A prime example is Valero’s refinery in Benicia, CA, which decreased covered GHG emissions by over 95,000 metric tons while also cutting ammonia emissions by 98%, sulfuric acid by 84%, and benzene by 49%. As reported in the Benicia Herald, this decrease was the direct result of a new flue gas scrubber put into use at the refinery in 2011. According to Sue Fisher Jones, public affairs manager for the Benicia refinery, the Valero installation. Valero demonstrates that putting a dollar figure on emissions leads industries to change, yielding pollution reductions while saving energy and fuel use. Not only will the environment benefit from fewer emissions, human health will improve as well. California should be proud of the progress it has achieved thus far with AB 32’s cap-and-trade program, but we shouldn’t rest on this success Environmental integrity and human health depend on a continuing decline in emissions. Thankfully, CARB has created a program, outlining strategies that monitor changes in pollution and adopts necessary measures to mitigate pollution if needed. AB 32 policies that encourage petroleum refineries to cut pollution are a tremendous start to mitigating climate change. 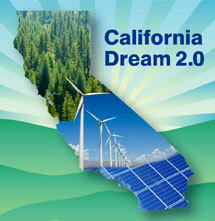 However, in order to meet the goals of AB 32, more refineries need to incorporate energy efficient solutions. Such steps will not only strengthen California’s economy, but will go a long way towards ensuring clean air and better health for present and future generations. This entry was posted in Climate, General, Global Warming Solutions Act: AB 32. Bookmark the permalink. Both comments and trackbacks are currently closed.